our prices keep going down. Here are our most popular CD duplication packages. our customers are repeat sales. a variety of playback devices before CD duplication begins. CD's finished and shipped in as few as 24 hours! 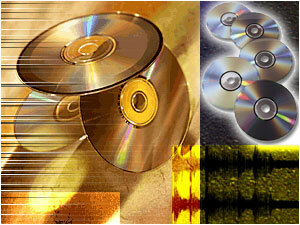 CD / DVD Duplication is ideal for Quick Turn requirements. and DVDR, short for Digital Versatile Disc Recordable, respectively. this process with a pre-made disc that is capable of receiving recorded data. CD / DVD Duplication is ideal for your quick lead time or short run requirements. With no Glass Mastering, the costs are more affordable. Through our high-tech print machinery, quality 4-color process printing is availableon your CD and packaging. Since printing is done directly from your electronic files, there are no film costs involved. "Customer Service means our world revolves around you."